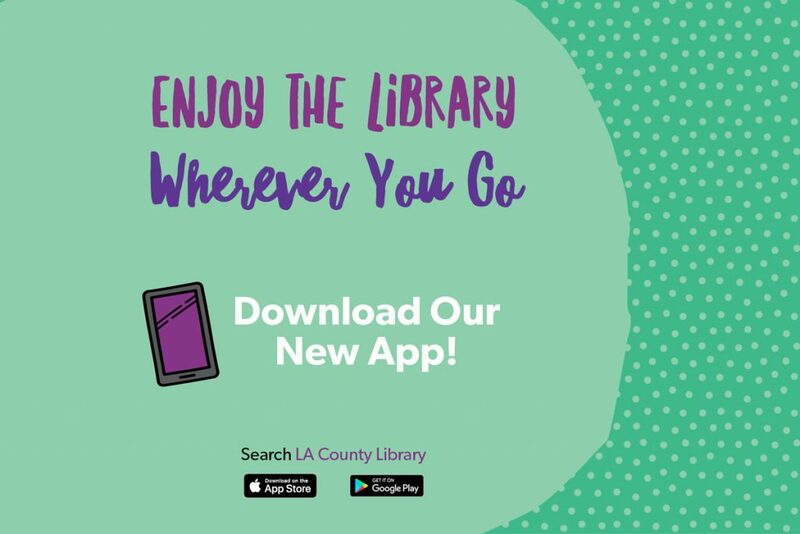 LA County Library is proud to introduce the new LA County Library app! Available for iOS and Android, this new app has a brand new range of features and functions that will make your library experience a whole lot simpler. Our app makes it easy to digitally browse our collection, get details on items, make a selection, check out an item or place a hold for later pickup, and even renew items previously checked out. You can check out eBooks and audiobooks with the touch of a button, and either stream them in your browser or link them to your OverDrive account. If you’re on the go and searching for our nearest location, check out the library locator feature, which shows location addresses and hours nearest to you. We’ve also added convenient links to popular website pages, like booklists and events. The account management tools let you customize the app layout, view fines and fees accrued by the account, and link library cards together through the app to manage the various accounts—a great feature for families! Visit the Apple store or Google Play and search for LA County Library to download today.